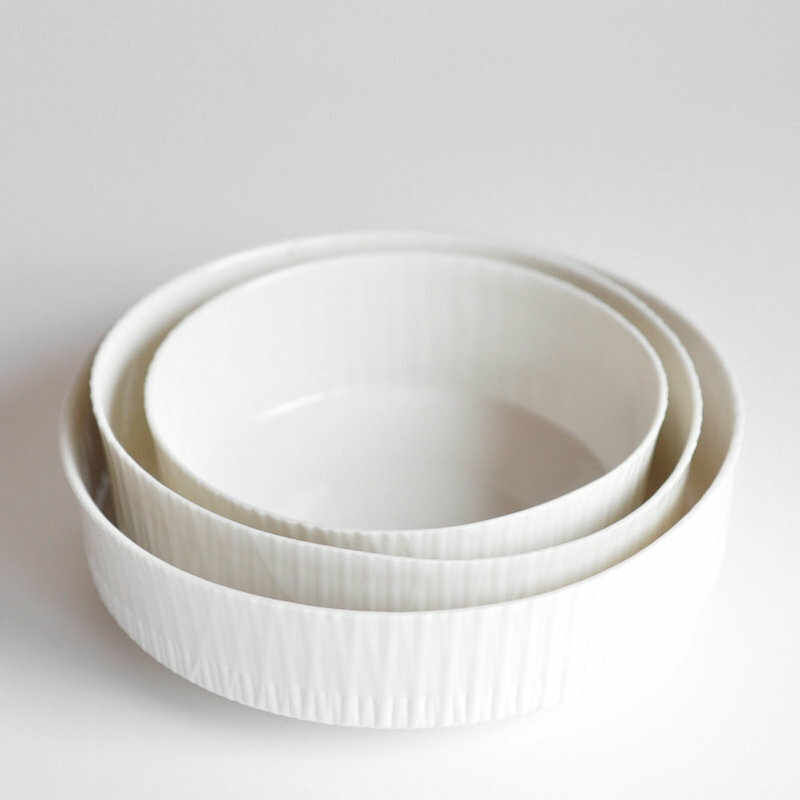 A set of three nesting bowls. Elegant as a set, individuals, empty or full. The hand-cast porcelain vessels are a beautiful complement for edible and visual feasts.